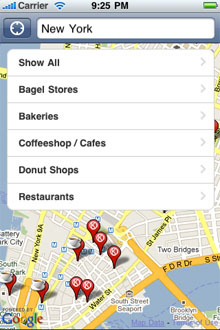 Easily find Kosher restaurants, cafes and other Kosher food establishments around the world. Get Kosher is the most complete and accurate database of kosher restaurants and locations around the world. With over 8,000 restaurants in more than 50 countries updated daily with the input of thousands of volunteers from around the world. 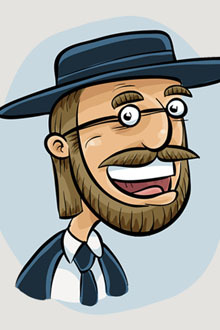 Travel and looking for a kosher restaurant to eat at but want to find the restaurant that is nearby? 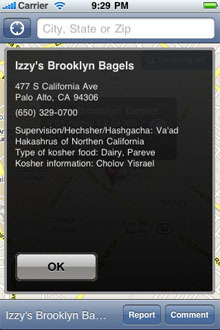 Now you can, with this Kosher app for the iPhone or iPod Touch. 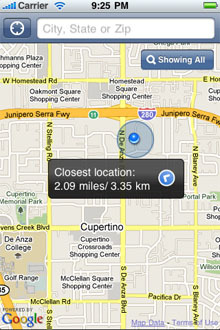 The Kosher iPhone application will look up the nearest kosher place to eat from your current location, using the iPhone's GPS features. 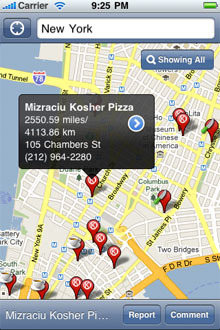 Using the interactive iPhone and iPod Touch maps you can instantly locate kosher restaurants and places near you or anywhere around the world.